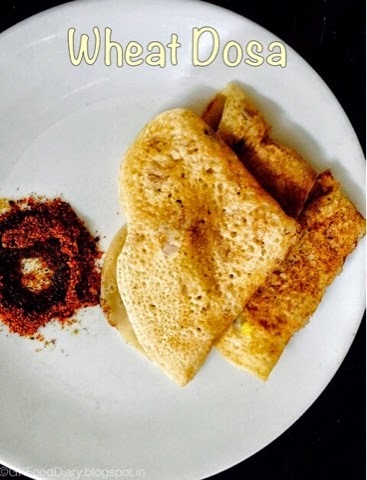 Instant Wheat dosa comes to rescue whenever i want to make a quick breakfast/dinner. It is healthy, filling and tasty too. Pair it with Vengaya chutney, coconut chutney, Idli Milagai podi or even sugar. I used to make this savory version of wheat dosa or sweet version with jaggery at least once a week. I like both the versions. I Will post the sweet version later. 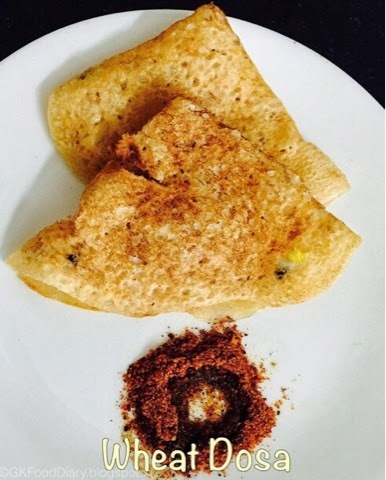 This instant wheat dosa can be given to babies from 8 months after introducing wheat separate,skip green chillies while making, pair it with curd and serve. 1. Chop the onions, ginger and green chilli finely. 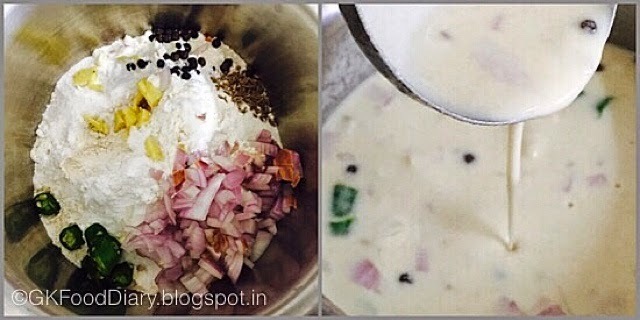 In a vessel add wheat flour, rice flour, pepper, cumin seeds, chopped onions, ginger and green chilli along with salt. Add water little by little and mix well. The batter should be like thick butter milk neither thick nor too thin. Set aside. 1. Heat a dosa tawa, add a laddle of batter to it and spread it to form a circle. Cook until brown for five minutes and flip the dosa. Cook for a minute and remove from tawa. Repeat the same process for the remaining batter. 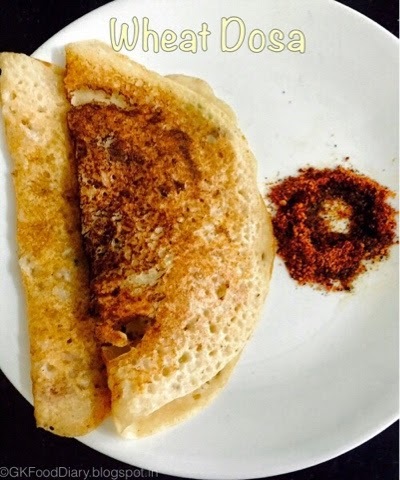 The healthy and tasty wheat dosa is ready ! Serve with sidedish of your choice. 1. I want a healthy version of Dosa so added 1/4 cup of rice flour. 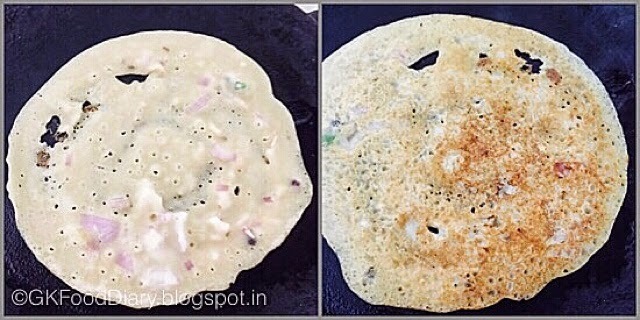 If you want your dosa to be more crispy , add 1 cup of rice flour for 2 cups of wheat flour and make the batter thin. 2. If you are making it for diabetic, skip rice flour and make the Dosa thick like pan cakes. That also tastes equally good. Can we use Jaggery for 10 months baby? You can use a little amount occasionally. It’s better if you avoid sweetener until one year.